With help from the folks at SmugMug, I've got a new version of the plugin ready for testing. Jeffrey, I've tested and sent you a log file. ( @Jeffrey Friedl) @leftquark : Aaron, I'm still handicapped by the "unkonwn" (filename) problem which occurs when previously published photos are updated and re-published. 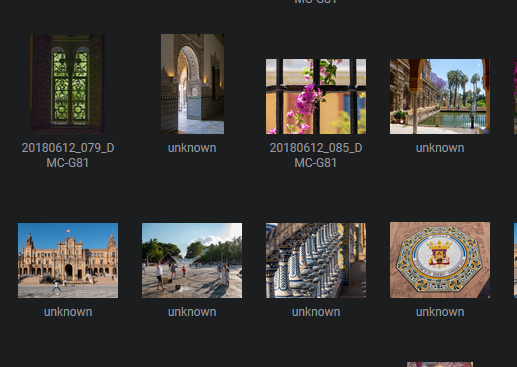 Question is, if I continue to update galleries, will the metadata on the updated photos eventually be replaced or will I have to delete the old ("unknown") photos from SM (potentially destroying links?) and completelyx republish them? What is the best method? I'd love to get up to date but am hesitant to have galleries filled with photos with the name "unknown". On the other hand, the file name is not particularly important to me because I generally sort by capture date and the file name is not shown in caption or title. Without having any specific examples, that sounds like a plugin issue. @Jeffrey Friedl: if there's something going funky on our end, let me know and we can get some people on it. @leftquark: @Jeffrey Friedl has been working on this problem but has said that the SmugMug engineers have stopped responding to his mails. I know that he is anxious to get this problem fixed but without SMs help he's stuck between a rock and a hard place. Could you please, please ask your engineers to look into this problem? It's very frustrating not being able to update changed photos. And naturally, I am not the only user affected by this problem. Ugh, we have a team of several engineers assigned to help Jeffrey get this up and running as soon as possible, in addition to one of our QA members who is monitoring the API email mailbox. Not sure how this got missed. The team is spinning up to respond right away. @Jeffrey Friedl: As always, I'm here daily, so if it goes a few days without a response, just ping me. Though I hope this never happens again. Sorry for not having looked here earlier... I'd been having a productive back and forth with Eric Giberti (via [email protected]), but after sending detailed information about how the filename issue was a bug on your side on Aug 23. I heard nothing back except for a quick note on Sep 5 that "I’m not ignoring you, just diagnosing what’s going on here." Erik and team are diving into this further. It looks like there's a bug around updating the Title of a photo when replacing it. From my understanding it sounds like a pretty bad user experience but is it blocking you from releasing an updated version of the plugin using the newer API? but is it blocking you from releasing an updated version of the plugin using the newer API? No, I released an updated version months ago. This title-update bug has been a thorn since, though. @leftquark in my case I have not directly noticed the title-update bug unless by title you are referring to file name. Here are two screenshots from Organizer. the first showing some photos which have and have not been replaced, those which have been reublished all have the filename "unknown". The second shot is the File Info from one of the republished photos. The title and caption info as output by Jeffrey's plugin are correct and were not affected by the republish. From the EXIF info the only change I can determine is that of the filename to "unknown". @sarasphotos , I've still got no updates from SmugMug )-: , but I might have found a way to sort of work around the problem. Upgrade to version 20181108.344 or later. If it doesn't work, please send a plugin log ( http://regex.info/blog/lightroom-goodies/faq#log ) to let me know. Thanks. Hi Jeffrey, Unfortunately it didn't work. I've sent you the plugin log so you can see my actions. @leftquark Aaron, is there any chance that an engineer could contact Jeffrey about this??? @Jeffrey Friedl: I've seen a few responses from Erik back to you. Let me know if you haven't received them. Hi @Jeffrey Friedl I apologize for not getting back to you in time. We do know about the issue and I have included this one in our roadmap so we will try to get this one fixed. I am glad in the meanwhile you found a workaround. Just wanted to let you know that we haven't forgotten about you, its just taking longer amidst other things to work on. Sorry again for the delay and thanks for reporting it. "TRY TO GET THIS ONE FIXED" !!!!! Sorry if I seem a bit irritated but this "issue" (i.e. problem) has been occuring for several months and your (SM support) lack of response to Jeffrey has been shocking. I'm pretty sure I'm not the only one affected by this problem - it's a major PITA; I can't re-publish any photos without them suddenly having the name "uknown", which means I haven't really re-published anything in months. And before you suggest it, no I have no intention of switching from Jeffrey's plugin to SMs. When I started using SmugMug I immediately switched to Jeffrey's plugin because it offers a feature set that meets my needs. I won't rehash, the features have been listed several times. PLEASE, PLEASE make this the first stop on your roadmap!!! I'm so peeved about this I could just spit. The communication issues with responding to the API questions are something we obviously regret having occurred. As you know, we call our Support team the Heroes for a reason - we believe strongly in supporting our customers and it's one of our core values. But we also make mistakes, acknowledge them, and work to ensure they don't happen again. 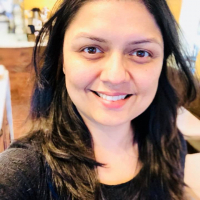 @swastisharma is one of our Engineering Directors that's taking actions to ensure we are properly communicating with our developers. I also understand that it's frustrating when some things don't get fixed right away. As a customer myself, I get frustrated when things I use don't work as they're supposed to. If we dropped everything we were working on because someone was frustrated we would never get anything done, including fixing a bug. Imagine if we prioritized this but someone else wrote in, angry over a different bug, and instead of fixing this bug, we went to go work on the other one. That doesn't solve anyones problems but it's what you're asking us to do. As Swasti mentioned, this one is in the roadmap (and to be honest, is towards the top, alongside updating the metadata when you replace a photo) but we have some very important priorities that we have to work through first. As a partner that has successfully migrated to the 2.0 API, I would like to chime in and say that having the only two options for a SmugMug API be 'deprecated' or 'beta' is very scary from an integration perspective. 2.0 has been in beta for over 4 years now. Although the beta tag may not have an impact on how the API actually functions day-to-day, what it says to me as a partner is that you are reserving the right to break or change things with little or no notice. I would ask you to either promote the 2.0 to 'stable' as soon as possible, or provide a better explanation of why it still has the beta tag. I've been silently following this thread for a while. Having created smugline: a python CLI for SmugMug (available on github.com/gingerlime/smugline) which is no longer functional due to API changes and lack of current language binding (the underlying smugpy library is no longer maintained). I would also add to @mcavagnaro that I personally experienced backwards incompatible breaking changes to the stable API (when v1.2 was still stable). I just posted an open letter to SmugMug (blog.gingerlime.com/2018/an-open-letter-to-smugmug/) that I hope can speak for other developers as well, even though I'm not directly in touch with anyone and largely consider myself an outsider. Hope to see some change, and I'm still hopeful that SmugMug would rise to the challenge. 2.0 has been in beta for over 4 years now. Although the beta tag may not have an impact on how the API actually functions day-to-day, what it says to me as a partner is that you are reserving the right to break or change things with little or no notice. I would ask you to either promote the 2.0 to 'stable' as soon as possible, or provide a better explanation of why it still has the beta tag. We agree. It's time to be a good partner and take it out of beta and do the normal things to communicate updates to it (in addition to fully supporting it). Much of SmugMug has been using the v2 API so without further ado ... We’re putting the finishing touches on taking the beta label off! Stay tuned shortly. Just a BUMP to see if there's an update on this yet. 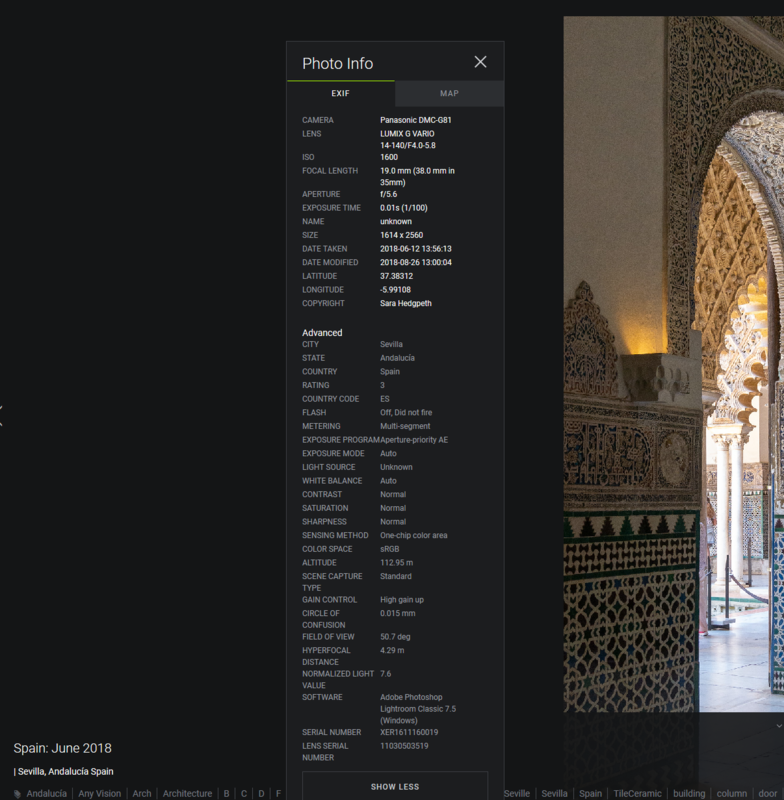 Using Jeffrey Friedels in my new site (still in test mode) and having the same issues with empty captions showing 'unknown' instead of file names. I've used the 'none' setting in Jeffrey's export plugin's caption settings and also tried to set a specific caption text as empty text, no change. What is really weird is that when I manually add and remove a caption in Smugmugs browser UI, this does not fix always the issue as well. In any case, it would be great to have the option to display file names along with captions and titles, as this would remove the need to work around this limitation by using empty captions. It's still on the API teams backlog but they haven't gotten a chance to close it out. I've been poking the team here and there as a reminder. another month has passed... any news??? I don’t expect the team to get to this for several months. I’ll be open and pass along that the entire team that would normally tackle this is working very hard to help wrap up our work to get Flickr brought over into the SmugMug ecosystem. It’s still on their radar for afterwards. Well, I can't say that this news makes me happy but I do appreciate your candor. Using Jeffrey's plugin to upload images to my new SM site I am running into the same problem with the filenames "unkonwn.jpg" when updating an image. even when downloading the file from smugmug it is called "unknown.jpg" on the downloaders machine. very annoying. i want them to see my filename, identify the images and see my copyright-note in the filename. Deleting and re-publishing the images through the plugin is a bad workaround that breaks my workflow. Please smugmug, get your engineers to work on this again. I am happy to see smugmug get a big player in the market by buying and integrating flickr, but to bad when that goes with bad service for existing clients that are stuck with in API in beta for years and no help with well-documented bugs. Any little help would be much appreciated. Thanks.